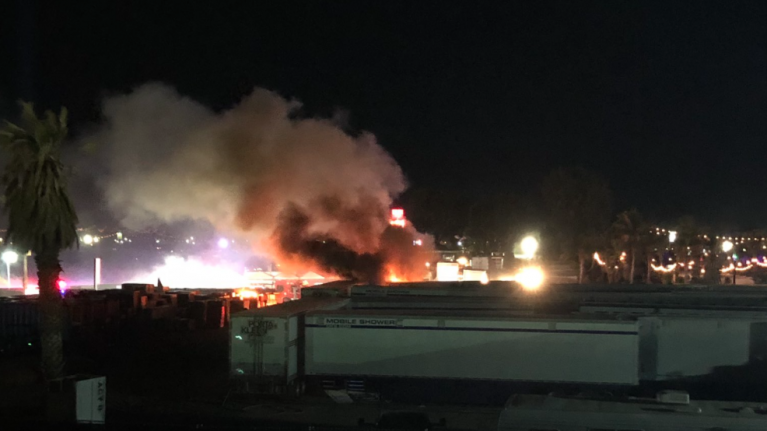 Festival goers have shared scary footage of the fire that ripped through parts of the Coachella festival yesterday morning. It appears to have started at a mobile shower in the campgrounds. Video footage shows security staff evacuating the area, telling people to run. There are no reports of injuries related to the blaze. Coachella has said that the cause of the fire is being investigated.